Today, the Sacramento Kings announced that Golden 1 Center will host the 2nd Annual California Classic Summer League for players and teams preparing for NBA action. Beginning on July 1, four teams – Sacramento Kings, Golden State Warriors, Los Angeles Lakers, and Miami Heat – will play a total of six games featuring rookies selected in the 2019 NBA Draft, sophomores and athletes competing to make NBA and G League regular season rosters. “Building on the incredibly successful inaugural year which saw more than 50,000 attendees, we are excited to once again host the California Classic at Golden 1 Center,” said Sacramento Kings Owner and Chairman Vivek Ranadivé. 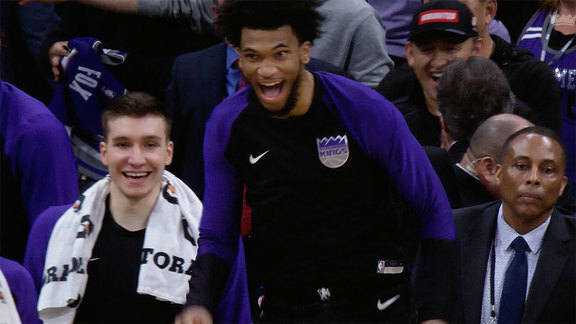 "Last year proved to be a unique experience, with an emphasis on technology, entertainment, community and, of course, basketball, and we look forward to continuing to showcase the best Sacramento has to offer." This summer basketball celebration – Monday, July 1, Tuesday, July 2, and Wednesday, July 3 – will feature a double-header matchup each day with all four teams participating. Similar to other Summer League matches, modified game play rules will be in place, including 10-minute quarters. Beginning Tuesday, April 9, Kings Season Ticket Members for the 2019-20 season will have early access for three-day passes covering all six California Classic games at Golden 1 Center. General public will be able to purchase three-day passes on April 10 at Kings.com/CAClassic. Team rosters, entertainment, fan zone activations, additional broadcast information and ticket options will be announced at later dates. For more information, visit Kings.com/CAClassic.